And here, all this time, we thought Auschwitz was a Polish death camp. It was, of course, at least in the sense that it was a place in Poland where upward of a million souls, the vast majority of them Jewish, perished at the hands of ruthless, evil murderers. Earlier this month, the Polish government approved a new bill mandating fines and even, in some cases, prison terms of up to three years for anyone who uses phrases like “Polish death camps” to refer to Nazi camps on Polish soil. While threatening penalties for using a particular phrase is an act of dubious wisdom or worth, the Polish protesters have history on their side… at least with regard to who owned and operated the death camps on Polish soil. 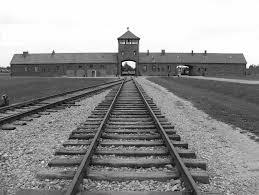 Germans, not Poles, ran Auschwitz, Treblinka and other death camps, where more than three million Jews died; Poland was an occupied country at the time. But the indignation isn’t righteous. At least not unless it includes an important caveat; an admission that many Poles themselves were no mere bystanders to the Holocaust. Some Polish officials are trying to obscure that truth. “It wasn’t our mothers, nor our fathers, who are responsible for the crimes of the Holocaust, which were committed by German and Nazi criminals on occupied Polish territory,” asserts Zbignew Ziobro, the Polish justice minister. But the justice minister does truth an injustice. In implementing their genocidal program, German forces drew upon all-too-eager-to-help Polish police forces and railroad personnel, who guarded ghettos and helped deport Jews to the killing centers. Individual Poles often pitched in, identifying and hunting down Jews in hiding and then actively participated in the plunder of Jewish property. Nor were ethnic Poles unhappy at the prospect of helping the invaders rid their country of Jews. History Professor Jan T. Gross, who was born in Poland to a Polish mother and Jewish father, published “Neighbors” in 2001, in which he documented that atrocities long blamed on Nazi officials were in fact carried out by local Polish civilians. Like the massacre of the Jews of Jedwabne in July 1941. Mere weeks after Nazi forces gained control of the town, its Polish mayor, Marian Karolak, and local Nazi officials gave orders to round up the town’s Jews – both long-term residents as well as Jews who were sheltering there. Some Jews were hunted down and gleefully killed by the town’s residents with clubs, axes and knives. Most were herded into a barn, emptied out for the purpose and set afire, killing all inside. There were also Poles, of course, who helped Jews, even risking their own lives to do so. Yad Vashem has recognized more than 6,000 of them as “Righteous Among the Nations” for rescuing Jews, more than from any other country. But the norm, sadly, was that Polish citizens were more likely than not to turn against their Jewish neighbors when circumstances permitted. There are numerous personal accounts of such hatred leading to murder. It lasted throughout the war, and beyond it. The Polish town of Kielce was home to about 24,000 Jews before World War II, and the number swelled considerably during the war, as German officials forced Jews from other towns and countries to enter the ghetto established there. By August 1944, all but a few hundred Jews who were kept alive as slave workers there had been murdered. You may know the rest of the story. After the war, about 150 Jewish survivors returned to Kielce. Slowly, they began to rebuild their lives, establishing a shul and an orphanage. On July 4, 1946, the town’s non-Jewish inhabitants started a blood libel, falsely accusing the Jews of kidnapping a Christian child. A mob descended on the Jews and, as police and soldiers stood by and watched, the local Poles viciously murdered 42 innocent Jewish Holocaust survivors and injured scores more. If you drive down Bathurst Street in Toronto, you might notice a shul called Kielcer Congregation, presumably established by survivors of the war and pogrom, or by others in their memory. And if you drive about a mile south, you’ll reach Eglinton Avenue, off of which my dear in-laws live. My father-in-law, Reb Yisroel Yitzchok Cohen, may he be well, is an alumnus of a number of concentration camps, including the Polish – sorry, “German on occupied Polish territory” – one called Auschwitz. At war’s end, he emerged, barely, and managed to find his way back to his Polish hometown of Lodz. He had heard that his younger sister Mirel (whose memory is carried in the second name of my wife), had also survived the war and had returned there. He discovered that Mirel had indeed reached Lodz. And that one day soon after their arrival, she and several other girls had visited the local Jewish cemetery to find the graves of relatives who had died in the Lodz ghetto. The girls split up and made up to meet at the cemetery entrance. All did, except for Mirel. Having survived the war and made her way “home,” she had been murdered by an unknown assailant among the graves. This entry was posted in Anti-Semitism, Holocaust, News on September 2, 2016 by Rabbi Avi Shafran.